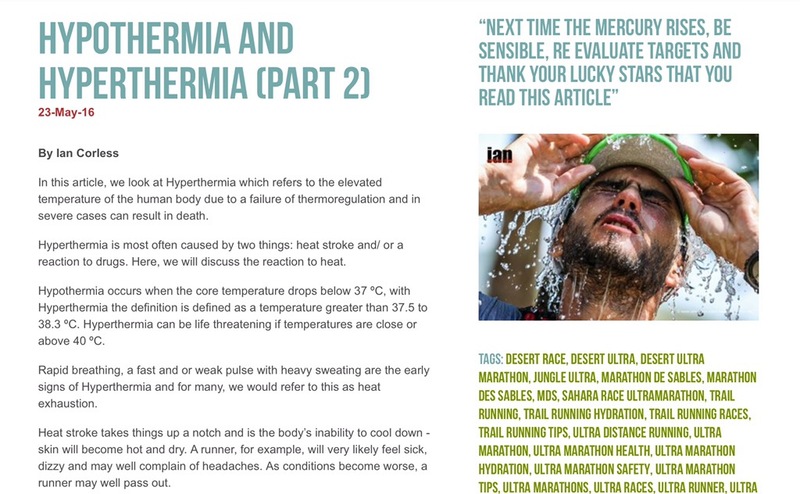 A runner loses heat via sweating. This sweat evaporates on the skin which dissipates heat by convection, assuming that humidity is low enough. Heat stroke will occur when the bodies thermoregulation is overwhelmed. Overwhelming the body (in simplistic terms) may come from excessive environmental heat (running in a hot climate), running too fast or too hard, being dehydrated, a lack of free flowing air that will help cool the body or a lack of water to splash on the body to cool down. This entry was posted in Uncategorized and tagged active cooling, boiling hot, burning up, can't cool down, clammy, cooling down, dangerous heat when running, fired up, getting red, getting too hot, heat stroke, hot, hyperthermia, hypothermia, pour water, Running in the heat, Sweating, sweats, tres chaud, very hot, water by talkultra. Bookmark the permalink.